Margaret Anne Schedel is a composer and cellist specializing in the creation and performance of ferociously interactive media whose works have been performed throughout the United States and abroad. 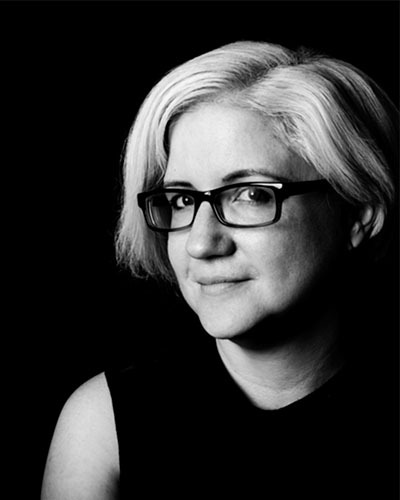 As an Associate Professor of Music at Stony Brook University, she serves as Co-Director of Computer Music and is the Director of cDACT, the consortium for digital arts, culture and technology. She ran SUNY’s first Coursera Massive Open Online Course (MOOC), an introduction to computational arts. Schedel holds a certificate in Deep Listening and is a joint author of Cambridge Press’s Electronic Music. She recently edited an issue of Organised Sound on the aesthetics of sonification and her two of her pieces are featured on the REACT recording by Parma Records. Her work has been supported by the Presser Foundation, Centro Mexicano para la Música y les Artes Sonoras, and Meet the Composer. She has been commissioned by the Princeton Laptop Orchestra the percussion ensemble Ictus, and the reACT duo. Her research focuses on gesture in music, the sustainability of technology in art, and sonification of data. She sits on the boards of 60×60, the International Computer Music Association, is a regional editor for Organised Sound and an editor for Cogent Arts and Humanities. In her spare time she curates exhibitions focusing on the intersection of art, science, new media, and sound.